Get the luxe look of rose gold in a stylish clutch. Black faux-leather bag is accented with a rose-gold zipper on top and a matching charm engraved with the Boeing logo. 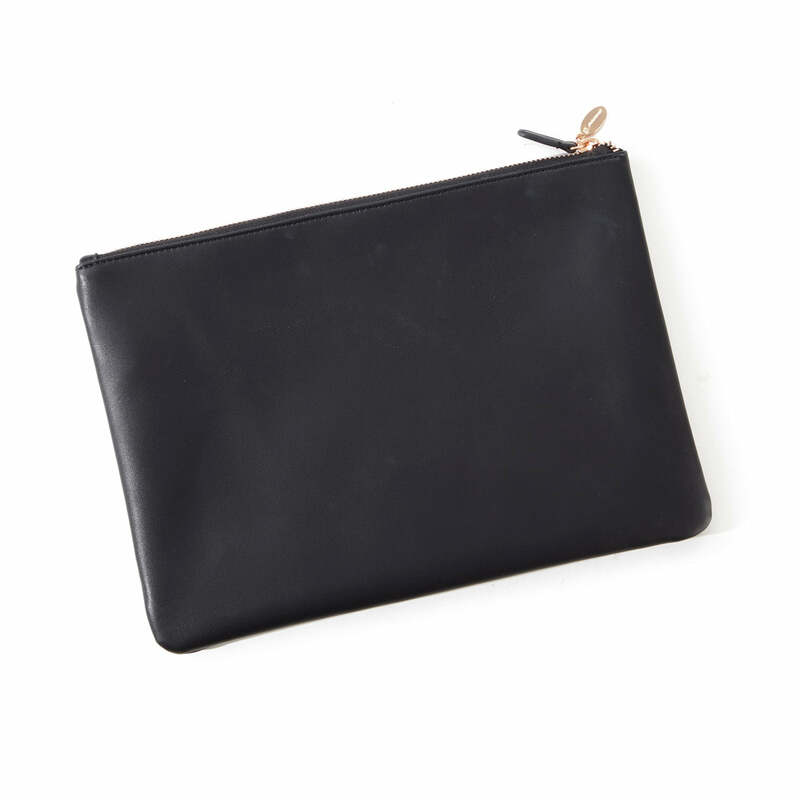 It has a large open pocket inside to hold your essentials. Measures 8.75" x 11.5". Imported.